Chrysanthemum, also known as chamomile, ancient tribute. Fetal chrysanthemum, slightly cold; bitter sweet, wind and heat can be evacuated, Pinggan eyesight, detoxification. 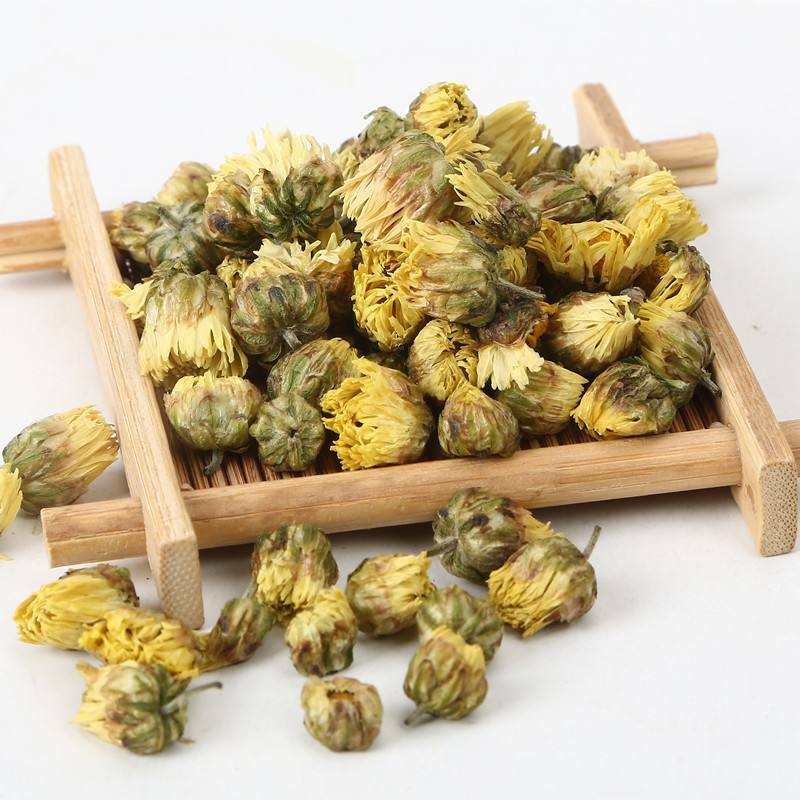 Chrysanthemum Tea with fetal chrysanthemum tea, pure taste, thick , golden color, contains the fragrance of nectar, and soak a long time will not spread. Chrysanthemum is a kind of the most top grade. In the Chrysanthemum flowers are not fully open when taken off for the tire-chrysanthemum, made by the drying process. Super flower is the first selection of buds bud, early morning, carefully steaming, baking. Has a unique flavor. With its sparse and rather precious. Looking for ideal Have the Effect of Removing Body Waste Manufacturer & supplier ? We have a wide selection at great prices to help you get creative. All the Beauty And Health are quality guaranteed. We are China Origin Factory of Helps to Lose Weight and Detoxifies Beauty. If you have any question, please feel free to contact us.